Graduate students in High Performance Building and Architecture are working in teams this semester to develop proposals for new campus housing defined as Living/Learning Communities. We have 11 site under way. This semesters class represents the most diverse group thus far, with students from Korea, Greece, Croatia, China, Turkey, India, and all parts of the US. The work from the previous year serves as the foundation for advanced studies at all scales. We will challenge some of the assumptions made thus far, invent new ones where needed, and refine each proposal by describing in detail various systems and environments. Michael spoke at the Dwell on Design 2014 | Architecture for Humanity show to a lively crowd, featuring the work of Georgia Tech and Gamble + Gamble. 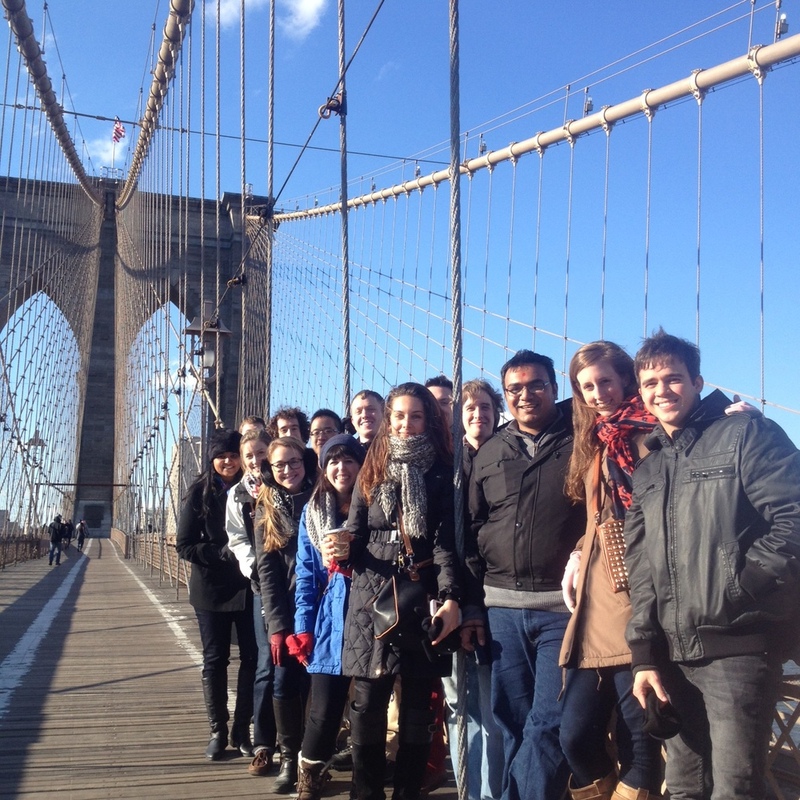 13 Students from Georgia Tech were there, and had two days of inspirational walkabouts through Brooklyn and New York. Students are gearing up for Midterms today, with lots of effort put into defining how Georgia Tech's Living Learning Community will work - from classrooms to housing. We have a number of guests coming in today to expand the dialogue. We all meet in New York on Thursday in search of inspiration with stops to see friends, fine buildings and public spaces, and most importantly to share ideas at Architecture for Humanities Design Like You Give A Damn Meeting, and Dwell Magazines Dwell on Design. More to come . . . . . . Following the success of last year, this proposed study will traverse both fall and spring semesters. Fall semester students may elect to continue into the spring, though concurrency is not required. The series of seminars and studios will focus on the design and construction of medium-scaled ecologically sensitive mixed residential/academic developments. Key to the course is the Incorporation of high-performance active and passive energy systems into very well-conceived and executed building and site design propositions. High Performance Building faculty and students will participate in the spring and serve as consultants to the studio throughout the year. The work from the previous year will serve as the foundation for advanced studies at all scales. We will challenge some of the assumptions made thus far, invent new ones where needed, and refine each proposal by describing in detail various systems and environments. 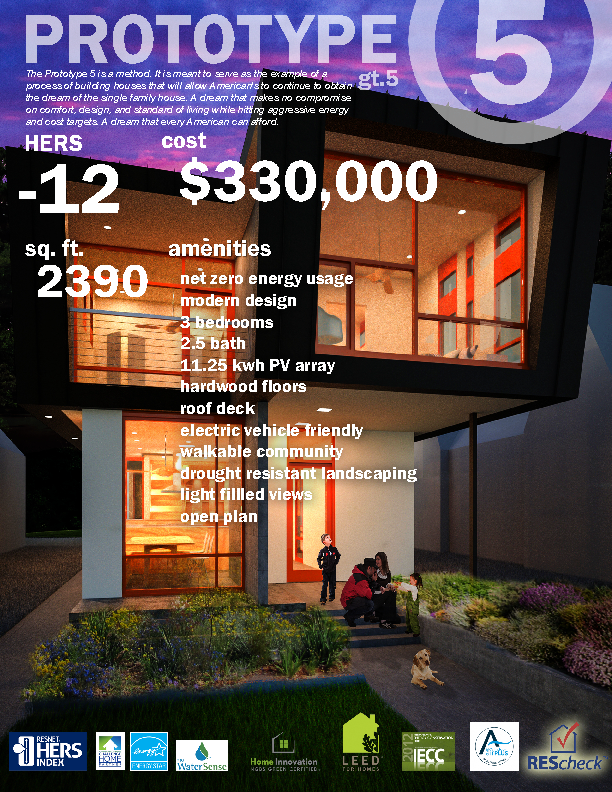 Part 1 will run for 6 weeks and consist of case studies, programming, massing, siting for a new 35,000 sf net zero campus research center which will include housing, labs, offices, community/social space, and auditorium and connect to the larger ecological system on campus. We will work in groups on 3 campus sites, and complete this effort before midterm. Part 2 will move from the scale of the building to façade and furniture studies. We will interface with Industrial Design and make a trip to New York to learn by seeing and touching what makes great architecture, and visit some of the very best rooms and walls the city has to offer, from the scale of hotel rooms and apartments all the way up to rooms that function at the monumental scale. Downsizing apartments are beginning to surge among the Millennials. Recently featured in Green Builder, graduate Nicholas Coffee's work in the ZEDH studio shows the possibilities of compact living combined with sustainability. Faculty and students are in Los Angeles exhibiting work from the studio. Dwell on Design LA, curated by the editors of Dwell magazine, opens at the Los Angeles Convention Center June 20-22, 2014. With three full days of dynamic exhibitions, unparalleled educational opportunities, cutting-edge technologies, 90 onstage programs, 200 speakers, and more than 2,000 innovative modern furnishings and products, Dwell on Design LA is America’s largest design event. 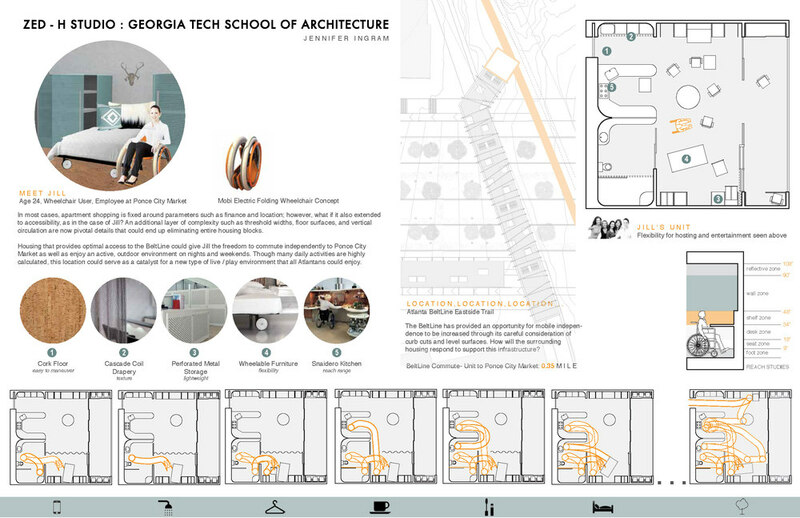 Student and faculty work from Georgia Tech is included, featuring the winning project from the Resource Furniture Interior Design Competition by Madona Cumar. Contributors from Georgia Tech, Resource Furniture and Architecture for Humanity will give a public lecture 06.21 at noon. Many thanks to our supporters: Resource Furniture, The Alcoa Foundation, Architecture for Humanity and Southface Energy Institute. Join us for the opening reception for our upcoming exhibition, Design for Social Impact, on the evening of Thursday, May 29, from 7:30 pm to 9:30 pm. The exhibition will feature projects, including the work of our studio, that address a variety of challenges in the areas of shelter, community, education, healthcare, energy and food & water. Each category will highlight solutions taking place locally, as well as ways in which these challenges are being addressed around the world. Daniel Alhadeff, James Boyer, James Bramlett, Katie Braswell, Po-Kai Chen, Nicholas Coffee, Madona Cumar, Eli Damircheli, Namrata Dani, Jennifer Ingram, Tyrone Marshall, Sarah McConnell, Jeremy Nash, Miguel Otero Fuentes, Kaitlyn Pahel, Mihir Patel, Junying Shi, Bunny Tucker, James Van Horn & Samuel Wald. Sandeep Ahuja, Gustavo Carneiro, Patrick Chopson, Patrick Dawson, Priya Dhamale, Yiyua Jia, Marionyt Marshall, Elizabeth Minne, Victor Renteria-Valdez, Wayne Shannon, Paul Szymkiewicz, Silvia Tijo & Yija Wang. 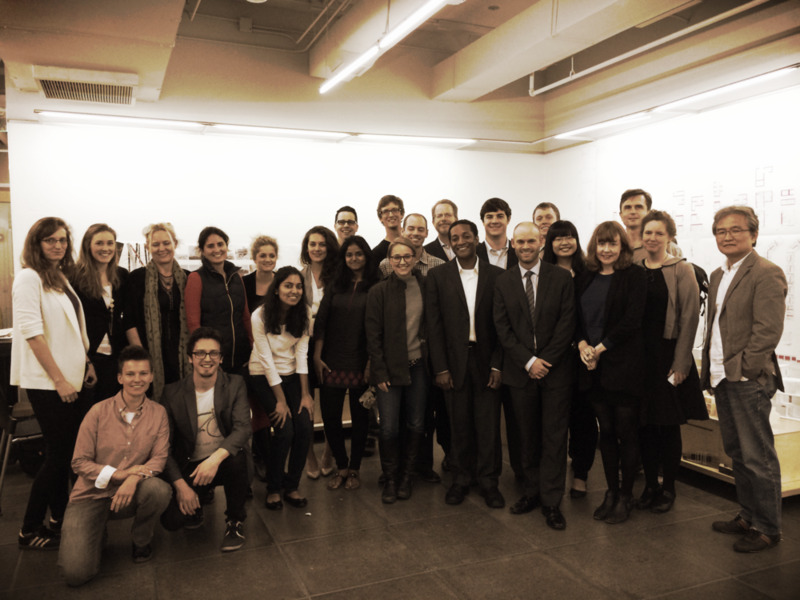 The class conducted the final review of the year on Wednesday, April 25th, presenting to a host of guests, including representatives from Alcoa, Resource Furniture, Georgia Tech's Venture Lab, University of Seoul, and local design firms. Students presented overall group work and then individual projects - from the urban scale to interior furnishing, building envelop and other points between. 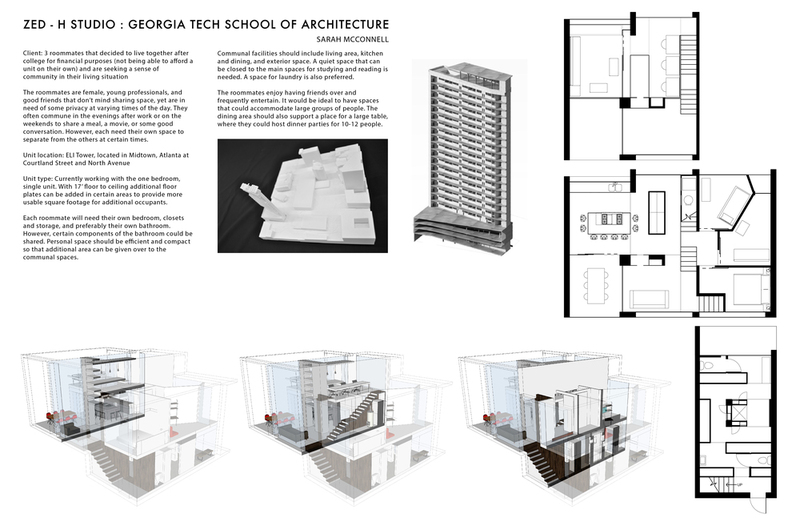 Madona Cumar and Kaitlyn Pahel were recognized at the annual School of Architecture Awards Day for the best Design and Research of all projects in the final year of the professional program. Madona and Kaitlyn led a team for the entire year, which included Bunny Tucker in the fall semester and Miguel Otero and Jennifer Ingram in the spring. Students will now upload their proposals for national judging to determine the top project via a competition made possible by Resource Furniture. The project voted Best Interior will be displayed in full at the 2014 Dwell on Design Exhibition in Los Angeles in late June, The winning student will receive airfare/lodging and will participate in the 3 day exhibit. Judging will occur from May 5th - May 15th, and a crowd sourced People's Choice award will be announced at the show. Next steps for the studio: cataloging all of the work from this semester in preparation for Museum of Design Atlanta's REVOLUTION BY DESIGN show opening in May and DWELL ON DESIGN in Los Angeles in late June. 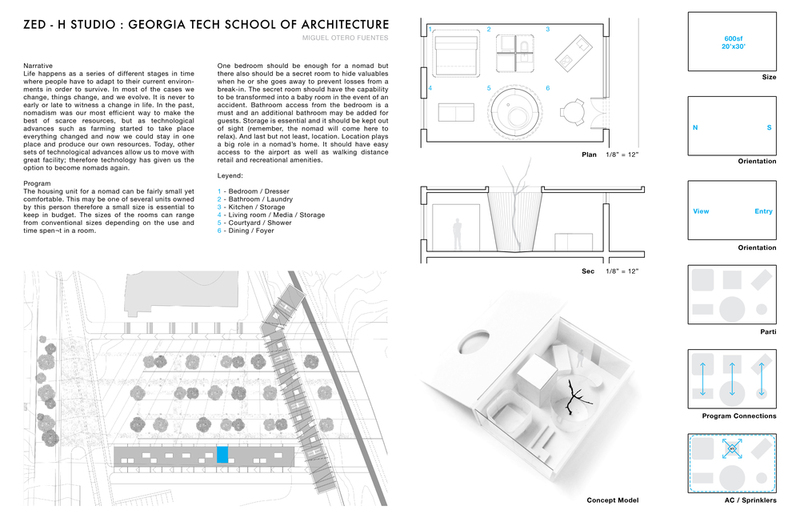 Golden, Colorado – It was announced today that Georgia Tech’s School of Architecture team “gt.5” is the Design Solution Category Winner and Construction Documents Jury Award Winner in the 1st Annual DOE Race to Zero Competition. The awards recognize the team’s efforts in integrating optimizations into design and their advanced software usage. Twenty-eight university teams from U.S. and Canada competed to develop cost-effective zero energy ready homes for mainstream builders. On April 26 and 27 these teams presented their innovative designs aimed to transform housing in America. These innovations will be incorporated into the DOE and NREL effort to fight climate change. The design of Prototype 5 by Team gt.5 was developed by a diverse team from the High Performance Building Lab under the guidance of Professor Godfried Augenbroe. With a clear mandate to show tightly integrated design, simulation, optimization and building science, the team produced a highly modern, performance based design. Prototype 5demonstrates Georgia Tech's leadership in guiding advanced design solutions through building science and computation. The studio is making progress on the interior development of the housing types proposed last semester. Take a look below! We are all in NYC this week focused on materiality, surface and finish, visiting some of the best new interiors the world's greatest city has to offer. Welcome back students from last semester, and thanks to all of the new faces for taking an interest in our efforts. We jumped right in with a two fold exercise focused on ways of indexing, and basic color theory (see attached). Later this month the class will return to NYC to visit a number of exceptional interiors, a prefab manufacturer in the Brooklyn Navy Yard, along with friends at the Alcoa Foundation and Resource Furniture. 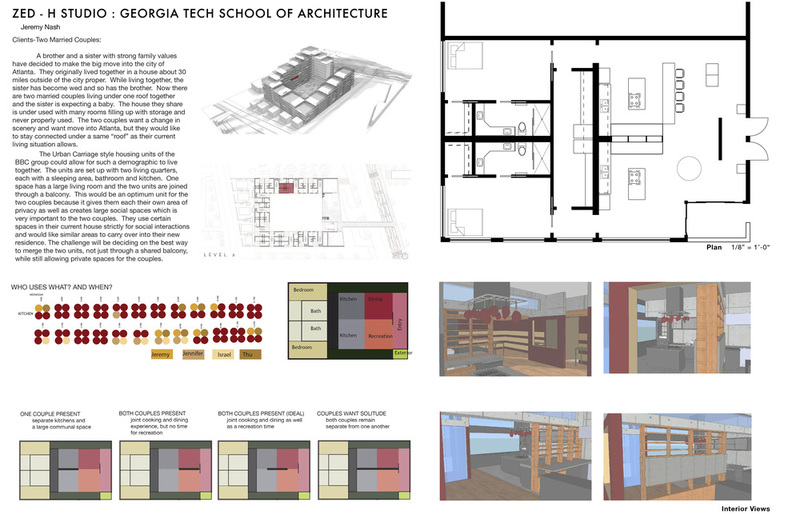 The goal for the semester is simple: highly detailed design on net zero energy interior environments, and further research in the area of building envelop performance. Spring Studio Agenda is Set! For the spring semester we will shift the focus of the studio from an urban and typological emphasis towards interiors and building envelop. Many of you have never participated in a studio with an immersive focus on interior design, and thus it is a very timely subject. We will concentrate on narrative construction, mood, layering, color theory, furniture, furnishing/fashion and surface all with the goal of developing highly detailed interior environments. I have some of the most talented interior designers in the city on line to work with the class. You will come out of the studio with a deeper understanding and appreciation of what makes great architecture. We will make a trip to NYC to learn by seeing and touching what makes great interior architecture, and visit some of the very best rooms the city has to offer – from the scale of hotel rooms and apartments all the way up to rooms that function at the monumental scale. I have a couple of NYC firms on line to share work. We will use the emerging work from this semester as a foundation for our Spring semester thinking, challenge some of the assumptions made thus far, invent new ones where needed, and refine each proposal by describing in detail various interior and exterior environments. The students this semester are in the midst of some very exciting proposals. We will describe every square inch of surface of key spaces through drawings and models. For the building envelop group, the work from this semester will serve as the foundation for advanced technical modeling, with direction from Jason Brown as well as myself. We will have 1 or 2 HPB students and most likely a DDF student working on facades, and architects are of course welcome. The collective work for the entire year will be exhibited in Los Angeles, and I am working on other exhibition outlets.